With new advancements and upgraded technology, the Gulfstream G IV offers more than its previous siblings. The G IV is the fourth installation in the Gulfstream family and a favorite among the aviation community. 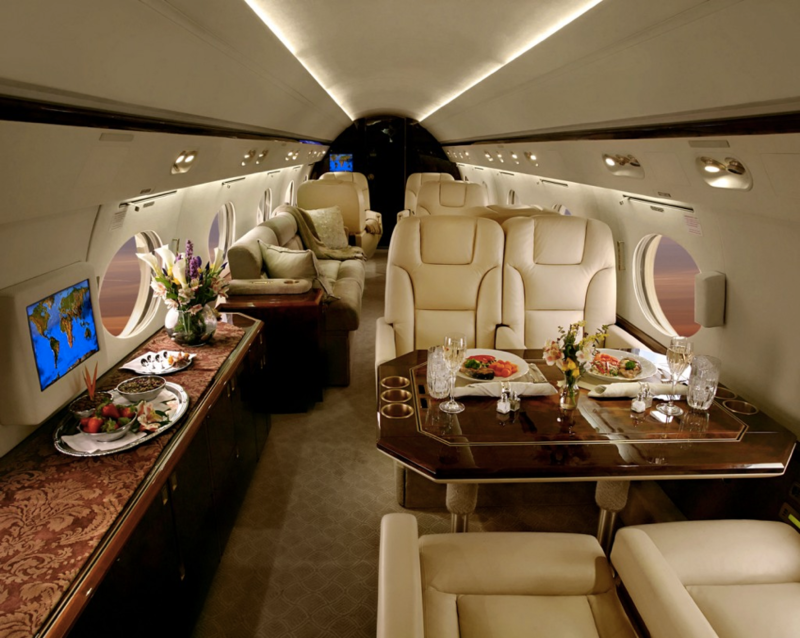 Accommodating up to 19 passengers, this heavy jet boasts an impressive 1,513 cubic feet of interior volume. Inside, travelers will find a stand up cabin with ultimate comfort. At 7.3 feet wide and over 45 feet in length, there is room to walk around, relax, or accomplish business in conference grouping seating arrangements. Luxurious amenities including a full sized lavatory with a shower and a large galley capable of serving a variety of meals all come standard. The G IV has an internal baggage capacity of 169 cubic feet, which is enough space to fit all of your passenger’s luggage and more. 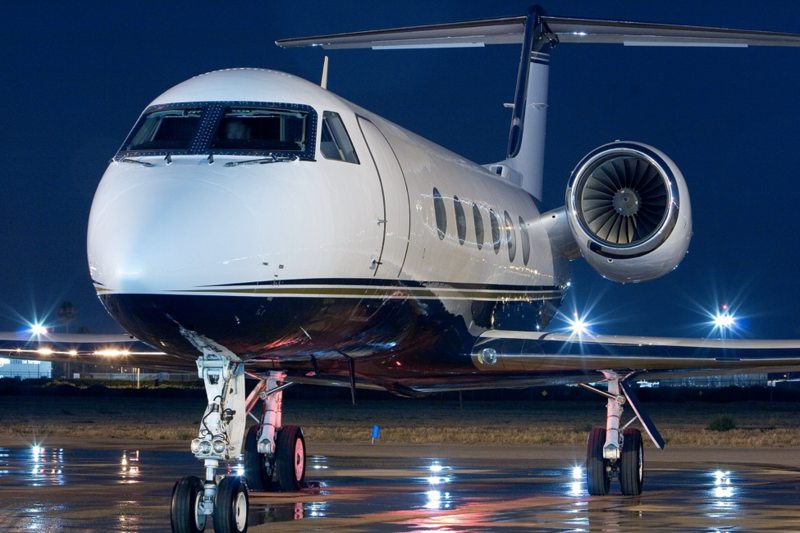 As an intercontinental range business jet, the G IV can fly 3,800 nautical miles at a high speed cruise of 480 ktas. Two Rolls-Royce Tay Mk 611-8 engines power the aircraft, which were also used in later jets such as the G300 and G400. These engines produce 13,850 pounds of thrust each and have an inspection interval of 8,000 hours. The upgraded engines also improve fuel consumption by 15% and decrease cabin noise levels. 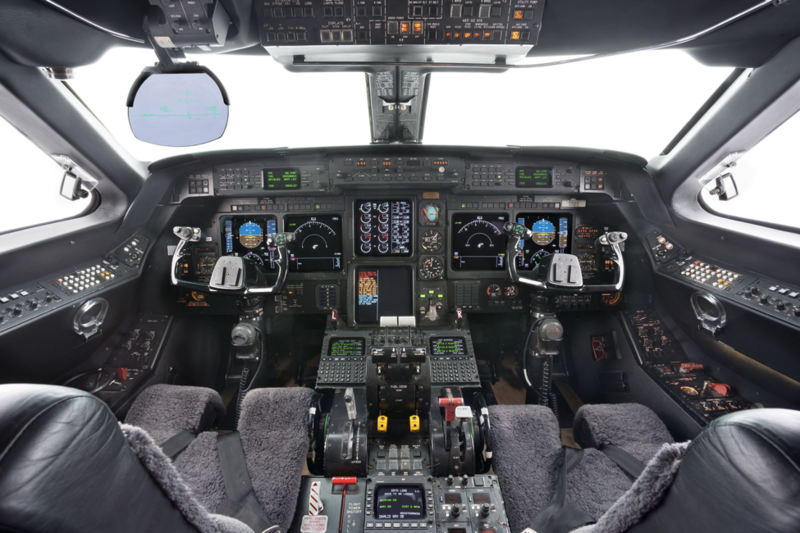 Within the cockpit, Honeywell’s SPZ-8000 avionics suite offers many convenient systems including Collins radios, dual Honeywell laser inertial reference systems, and more. The G IV is the first aircraft within the Gulfstream family to service Goodyear Aerospace’s brake-by-wire system as well as a steer-by-wire system to reduce pilot workload and improve maneuverability. With upgraded engines, increased performance and additional space, the Gulfstream G IV is a model heavy jet that offers seamless travel on every flight. The G IV was so successful when it became available that it still serves as a prototype today for many later Gulfstream models.